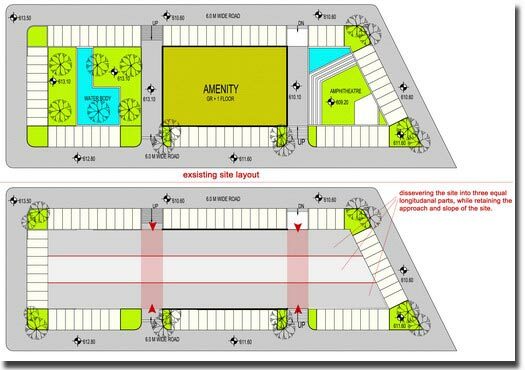 Not wanting to contribute another overbuilt eyesore to a business park, our design of an amenity block to house restaurants, local retail and ATMs etc. is an undulating grass lawn covered roof that diminishes the distinction between landscape and buildings. As an added benefit, the earth cover will help reduce air-conditioning bills by providing a layer of insulation on top.